Dr. Sahni was attentive and caring. He really paid close attention to my health issue and took quick action, an ambulanceto the ER. Recovering at home now. Dr. Sahni was attentive and caring. He really paid close attention to my health issue and took quick action, an ambulance to the ER. Recovering at home now. Well-educated & knowledgeable. Very professional & Excellent conversationalist. I’m delighted that he has agreed tobecome my primary care physician in Sun City. Well-educated & knowledgeable. Very professional & Excellent conversationalist. I’m delighted that he has agreed to become my primary care physician in Sun City. 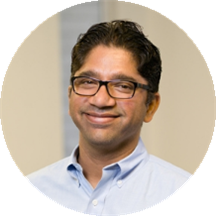 Manish Sahni is a dedicated and accomplished internist serving the communities of Sun City West and Peoria in Arizona. Dr. Sahni earned his medical degree from the All India Institute of Medical Sciences in Delhi. He then completed his residency in internal medicine at the Long Island College Hospital in New York. He is certified by the American Board of Internal Medicine. Dr. Sahni’s medical scope encompasses processes associated with emergency and hospice care. Dr. Sahni’s dedication to the well-being of his patients is evident in the care and support he gives to them. He takes a precise approach to his consultations to ensure that he is consistently giving the correct diagnoses. Some of the disorders that Dr. Sahni has managed or treated include cystic fibrosis, sickle cell disease, sexual dysfunction, irritable bowel syndrome, and high blood pressure. He also offers services in cancer screenings, skin lesion removal, pulmonary function testing, and hormone replacement therapy consultations.The practice has staff fluent in an impressive number of languages, including English, Spanish, Farsi, Hindi, and Portuguese. Dr Sahni really took the time to listen to me and didn’t make me feel as if he was in a rush to get to the next patient. His staff was incredible! The ladies in the front part of the officewere very accommodating and, as someone who is deaf I really appreciate it. Not very comfortable and bad bedside manners. I have been dissatisfied with finding a good PCP until now. I had to follow up the very next morning from a visit to the ER and was able to get in to see Dr. Sahni right away! He ordered thetests that I needed and I feel like I am on a path to finally getting better! Very satisfied with both Dr. Sahni and his Physicians Assistant Heather. Both took the time to listen and understand. Dr. Sahni came up with a possible answer for the symptom I have been experiencing that other doctors have not considered. Doctor and staff were great. All employees were very nice and truly appeared to enjoy being there. This says a lot about the doctor who has an exceptional bedside manner. I was treated and made to feel like a person withneeds and concerns - not just another number in someone's book. My wait time was a little longer than I may have liked but it was my 1st visit and I needed to process in. Overall I could not be more pleased thus far with my choice to see Dr. Sahni and look forward to my next visit. I sincerely thank you sir and your entire staff for your diagnosis, treatment, and professionalism. Very professional and seeks to understand. He asked my mom lots if questions. Good Dr. He was very thorough and ask alot questions about my health issues. He quickly sends my prescriptions to my pharmacy, never have to wait like some drs. He listens and try to find the problem or have it tested. Hes thebest dr i have since i moved here 5 yrs ago. I've seen alot of drs and never was satisfied.I am satisfied with this one. I recommend him. Also love his nurse michelle. Very patient and help me understand my dr. Im hearing impaired and have to read lips. Michelle tells me what dr is saying when i dnt understand him. She's awesome!! My experience with Dr. Sahni was great! It was exactly what I was hoping it would be. I didn't wait long at all, the staff is very nice and welcoming. Dr. Sahni was great! He listened to me and took histime asking questions. It made me feel confident that he was going to get to the root of the problem. He did! ?? Great Doctor with a wonderful common sense approach. Really listened to me. I don't have a primary since the company I work for changed their insurance company in January so I needed a check up and I need to find a doctor. This was my first visit. The receptionist was great and hername is Michelle.She was very nice and very helpful. She was glad to answer all questions and didn't make me feel like I was imposing on her time. The nurse was okay. Nothing really good or bad to say about her. The doctor was nice and professional. So far so good. Everything was great. The only ding was I had to wait over an hour and twenty minutes after my scheduled time with showing up 15 minutes early. Satisfactory, he listens and cares about his patients. Dr. Manish spent the time to understand my issues and gave real thought to help me in my healthcare goals. After waiting 45 minutes for the doctor, my appointment with Dr. Sahni felt very rushed. He didn't seem interested in forming a relationship with me as a new patient. He lacked empathy and eye contact throughout the consultation. I understandit's a Friday afternoon but it seemed like his team was ready for the weekend and I didn't feel very welcomed. Staff was very personable and friendly . Dr Sahni was thorough and nice as well. i felt very at ease and comfortable throughout the entire visit. i will plan on seeing again as my PCP. Me gusto porque no hablo ingles y me brindaron un interprete de inmediato, me senti sumamente atendida, el doctor muy profesional.